Pam Fenton was recently awarded a Long Service Certificate for her amazing 50 years of membership and singing in the South Devon Choir. 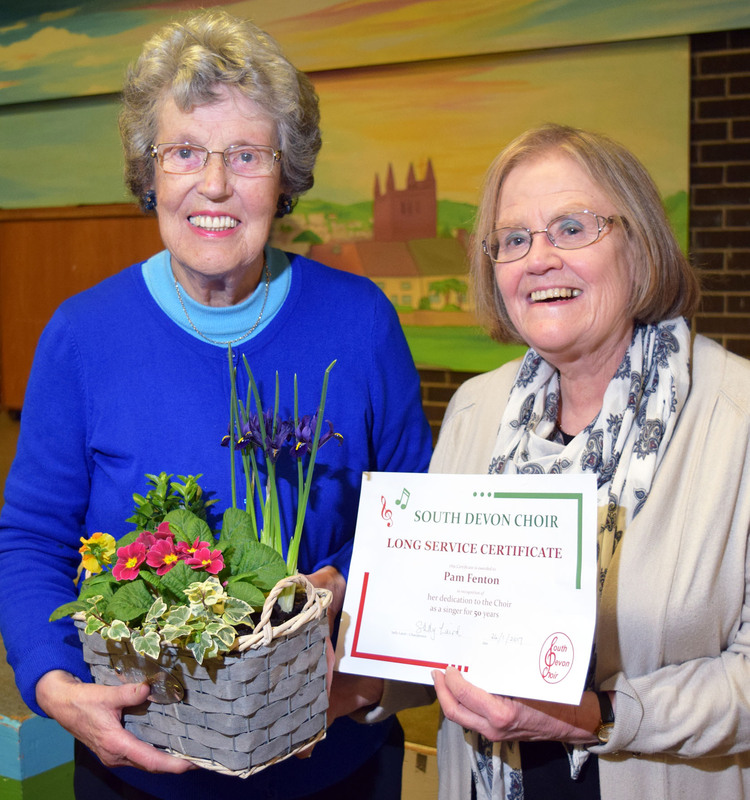 Sally Laird, the Choir’s Chairperson, presented Pam her Certificate and a basket of spring flowers at the AGM in January 2017. Even though it seems a bit of an effort to turn out in the wind, rain, snow and fog on a winter’s evening to attend rehearsals the effort is always rewarded with a feeling of well being after singing and meeting old friends. Well done Pam, we applaud you.